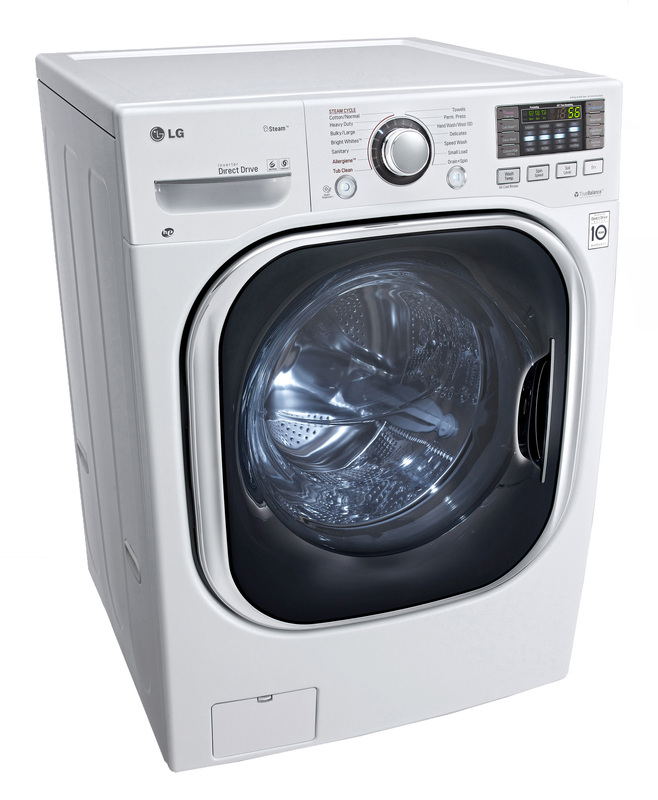 The LG WM3997HWA provides an ideal solution when it comes to installing conventional laundry. You can install it anywhere power and water can be found. Whether you’re short in space or you simply need a combo unit that provides time-saving features, this is a machine you need to consider. 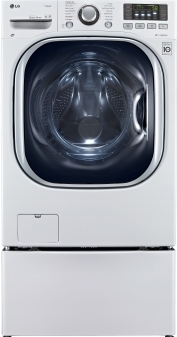 LG is a leading manufacturer in the area of laundry appliances. You will enjoy the longevity and reliability of their products. 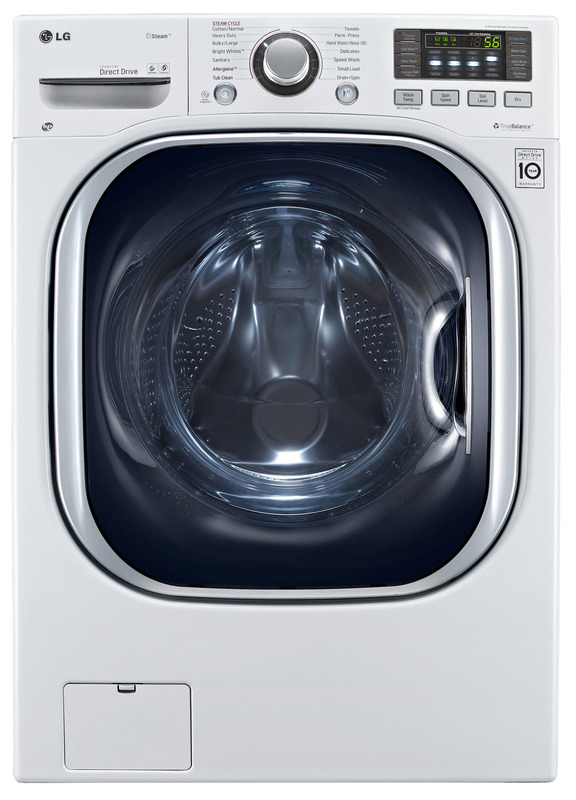 Its exceptional capacity makes the drying process more effective as the clothes will have more space to tumble around. Trust me, it makes a real difference – that’s why with combos, it is always recommended to only half fill the drum for best drying results. It’s the new version of my previous 2nd best ranked combo LG WM3987HW. This new model has been around a few years already and proved to be equally or maybe even more reliable combo, based on user feedback. Weight: Product: 211 lb. ; Shipping 225.8 lb. TrueBalance™ Anti Vibration System – designed to minimize vibration and noise for quiet and smooth performance. Direct Drive Motor – uses fewer moving parts, meaning the operation is more efficient. Ultra Large capacity of 4.3 cu. ft. – fewer loads and more laundry; the perfect combination. Ventless Condensing – you don’t need external venting to dry your clothes. Sanitary Cycle – can remove even the nastiest stains and bacteria. Automatic Wrinkle Care and Steam Technology – delivers fresh-looking and neat results. The steam goes deep into the fabrics and eliminates any dirt, odors or wrinkles. End-of-cycle Signal – you’ll be notified when a cycle is complete. Child Lock – prevents unsupervised operation. Delay Wash – you can preset the unit to operate while you’re busy doing something else. 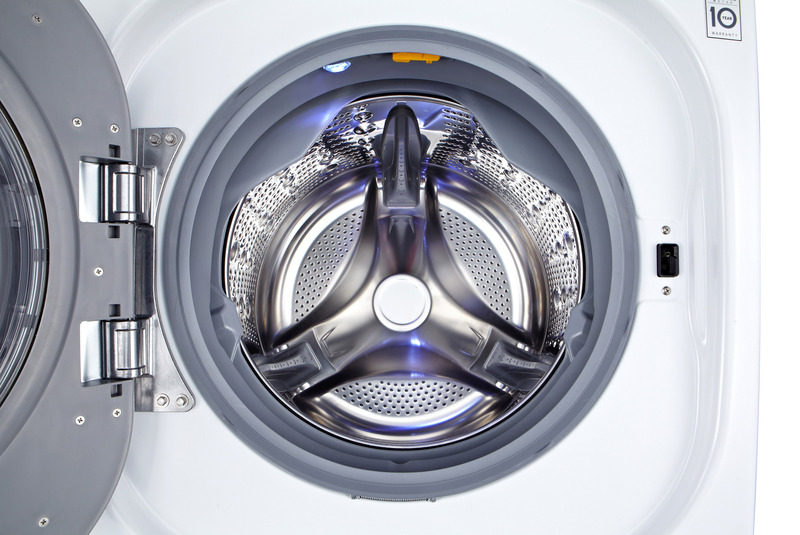 14 Wash Cycles and 5 Dryer Cycles – you can take a good care for different garments. Front-panel Dial-a-Cycle Digital Controls – the operation is simplified. LoDecibel quiet operation – no more loud noises; you won’t disturb your family members while doing the laundry. Automatic evening out of the load via a proper relaxing of the drum when an uneven bulk of clothes is detected in the drum. Modern and luxury features – playing some cute songs, beautiful user interface and drum light which you can turn on and off anytime. No Water Reservoir – the water drains out automatically through the same hose that is used to drain water during the wash cycle. Lint/coin filter – the small panel door on front lower left when looking at the picture. Warranty: 1 Year Warranty on Parts & Labor; 10 Years Warranty on Motor; Lifetime Warranty on Drum. Wash Programs: Cotton/Normal, Perm. Press, Bulky/Large, Hand Wash/Wool, Delicates, Speed Wash, Sanitary, Tub Clean, Heavy Duty, Allergiene™, Bright Whites™, Drain+Spin, Towels, Small Load. Dry Programs: Sensor Dry: Low Temp Dry, Damp Dry, Normal Dry, More Dry; Manual Times Dry: 30 mins, 60 mins, 90 mins, 120 mins. Wash/Rinse Temps: Tap Cold, Cold, Warm, Hot, Extra Hot. Tray Dispenser: Prewash, Main Wash, Bleach, Softener. Materials: NeveRust™ Stainless Steel Drum, Painted Steel Cabinet, Plastic Control Panel, Painted Metal Top Plate, Transparent Door Glass, Chrome Door Rim. Ratings Electrical Requirements: UL Listed (120V, 12 Amps, Electric) – uses the standard 115-120 volt, 15-20 amp wiring. Great and fast drying results thanks to its huge capacity. Very quiet, you can barely feel a vibration if put on a solid floor. Quick operation, it takes up to 1-2 hours (depending on the material of clothes) to wash and dry if half-loaded. 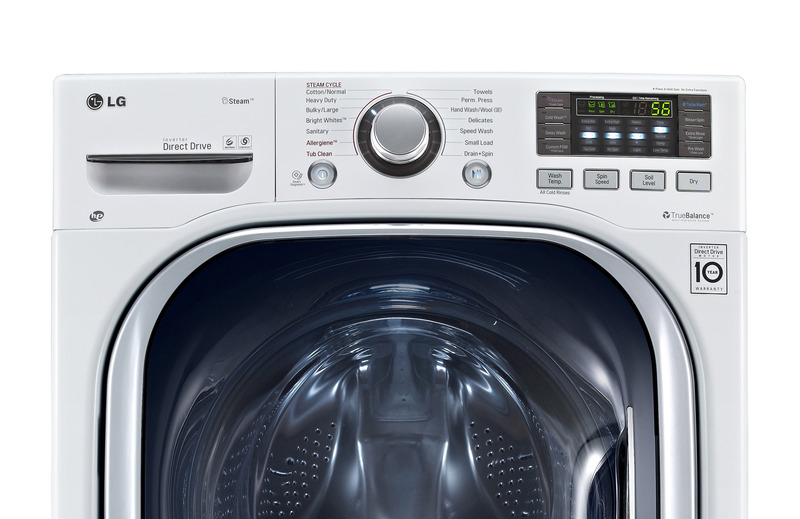 It weighs your loads and automatically adjusts the time to wash and dry based on that. Most clothes need just a minimum amount of detergent to come out clean and soft on touch. It’s ventless and uses condensation to make the vapor release its moisture and be pumped out along with cold water used for this purpose. It saves up to %70 of water when compared to some older machines. 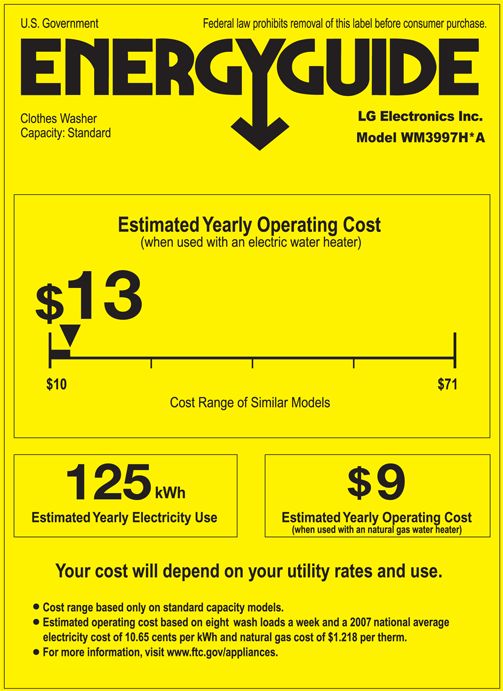 Being practically almost an Energy Star rated product, it will save you money also for the electricity. You can interrupt the running program at any time, change any setting or open the door, and then resume. Plays a nice little melody tune after the cycle has finished instead of the typical annoying beeping or loud buzzes. The melody can be turned off to have no signalling at the end. With automatic wrinkle care and steam technology, the LG WM3997HWA combo unit helps ensure that your clothes will be fresh after every washing and drying process. The stainless steel drum and the materials of this combo offers high durability. Despite of the price being a little bit higher, it’s been one of the best selling combos for a few years now. In my rating, it’s popularity and all the features I’ve mentioned make it the 2nd best option when deciding to buy a combo. It’s not first only because of the higher price.